When your daughter was little, you had to be the one making the rules and doling out punishments. When you're a grandparent, you get to be the fun one instead! You can take the kid out for ice cream before dinner or go to the latest cartoon movie together. When he or she is in trouble, you might get a call and have to deliver truce milkshakes to all involved parties. What's better than getting to have all the fun together with your favorite little person? As the head of the family, grandparents have a special job to teach their kids' children about things they think are important. This may mean tutoring a granddaughter in how to throw a fastball or helping a grandson learn scales on the piano. You get to choose what wisdom to impart, so take into account each child's interests and what you think is crucial to share. 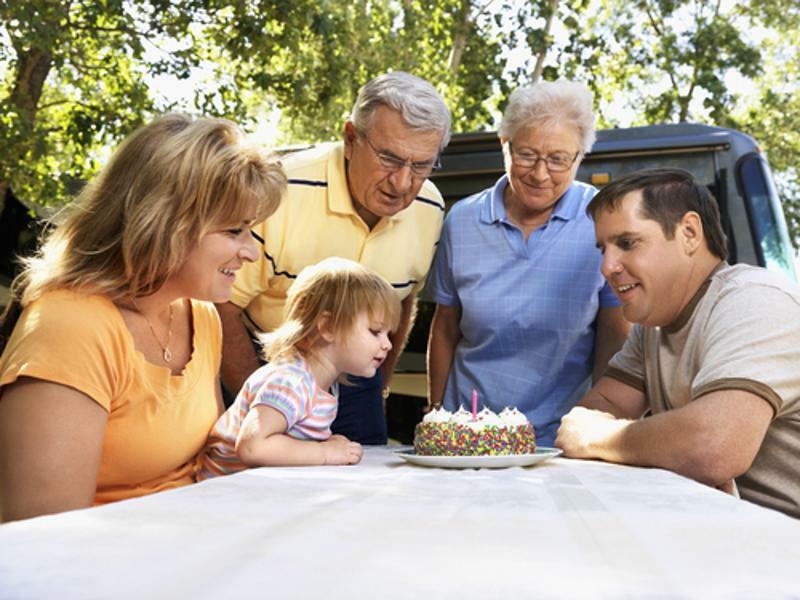 Grandkids have to listen to their grandparents, so get your storytelling hat ready! Elders deserve respect. That means if you want to tell a story from 60 years ago that you haven't thought about in as long, your kids and their kids have to listen. Take advantage of this by sharing insight from the family history. Talk about people whom your grandkids will never meet to keep their memories alive. Use your time together to discuss important values like family and friends, right versus wrong, environmentalism or politics. Another part of that generational respect is offering to help you. 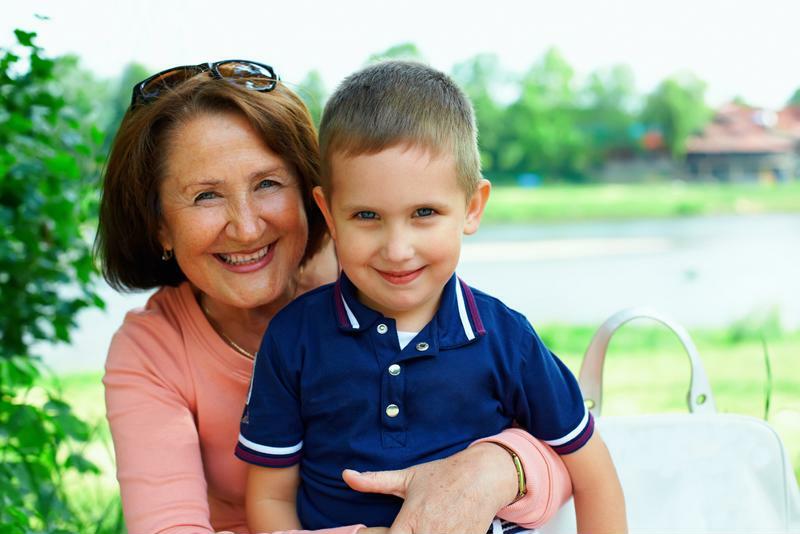 Your grandchildren are young and able-bodied, so don't hesitate to make use of their assistance. Teenagers are great for raking leaves, gutter cleaning, dusting and shoveling snow. Just make sure you've got a tasty treat on hand as a thank-you. If you reside in a senior living community you may not need these types of help but can come up with other projects like digitizing family photos or making family recipes. Parents have to watch their children 24/7. Unless they're on a kid-free vacation, breaks are few and far between. As a grandparent, though, you get to see your favorite little ones at their best. After a fun day together they go home and you get to be kid-free again. Your relationship with your kids will change as they require your advice and assistance with their new baby. Remember when your children first left home and called every time they needed something? Maybe they couldn't decide between salted and unsalted butter at the store or they got in a car accident and didn't know how to file with insurance, so they rang you. You'll experience a similar flood of calls once there's a new baby in the house. Questions about eating habits, sleeping and just about everything else will come your way. Enjoy sharing your experiences with your kids as they bring up the next generation of your family. Chances are, you'll become closer to your own children as they learn to raise their own kids. Plus, you're a very handy babysitter, so your adult children will learn a new appreciation of your time. If you thought having kids was magical, wait until your new grandbaby is born. You'll soon have more family events to attend, from baby showers to all those birthdays and holidays. Soon you'll gain a new nickname like Gigi, pawpaw or gramps. You can finally break out the kids' toys you've been saving for years with the knowledge they'll be used again by the next generation. And get out your picture frames; you'll garner a collection of photos featuring a new face starting the moment your new granddaughter or grandson enters the world.